Life on the road as a truck driver can get expensive, as drivers may feel like they have no choice but to spend money every day. Your truck is like a second home while on a long haul, so you’ll have to spend some money on the essentials such as food and drinks, toiletries, and more. However, there are a few ways to save money without sacrificing on the necessities you need to live comfortably. It’s important to stick to a budget while on the road to avoid spending too much of your hard-earned money. There are so many apps and helpful websites that make it easy to set your own budget, as you can enter your financial information and learn more about how much you should be spending each month. 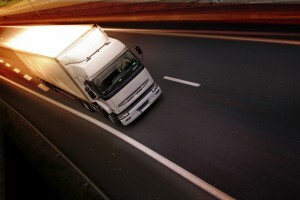 Buying food every day can quickly add up, and often becomes the biggest expense for the average truck driver. One of the best ways to save money on the road is to buy groceries and make your own meals as much as possible. You may not even realize how much you spend on meals, as fast food options are very cheap. However, if you’re buying an $8 lunch every day, you’re spending $50 a week, and nearly $3,000 a year. If your truck has a refrigerator, stock it with basic supplies like bread, fruits and vegetables, cheese, and even some frozen meals. If you have a microwave or slow cooker in your truck, you can make some great homemade meals. While you can still enjoy eating out every now and then, you’ll quickly see how much money you can save- and you may find it easier to eat healthily! Everyone who pays for laundry machines knows how much money they take from your budget every month. While on the road, paying for laundry more than once a week can make a huge dent in your wallet. Cleaning your clothes and sheets is very important, but there are ways to avoid doing laundry so often. Be sure to pack a few more outfits, extra sheets, and additional towels to avoid doing laundry every few days. Be sure to sign up for reward cards or loyalty programs for things you purchase every week, as you may be missing out on great savings! Most truck stops offer these cards or programs that can be redeemed for free coffee, fuel discounts, or even free showers at the rest stop. There are plenty of cards that offer rewards for loyal customers; you just have to do a little research to find them! This entry was posted on Friday, March 22nd, 2019 at 7:56 pm	and is filed under Road Travel. You can follow any responses to this entry through the RSS 2.0 feed. Both comments and pings are currently closed.